Parameter displayed : Active power consumption of three phases. 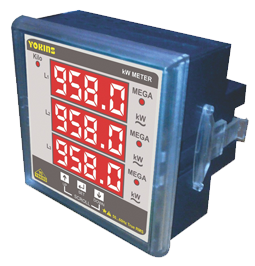 Inputs : Voltage (upto 500V) Current Secondary(upto 5A). Standards for enclosure : IP-20(Back),IP-65(Front).